Treatments are available all over Australia, performed by qualified therapists trained by Mette’s Institute at High Spirits Retreat. 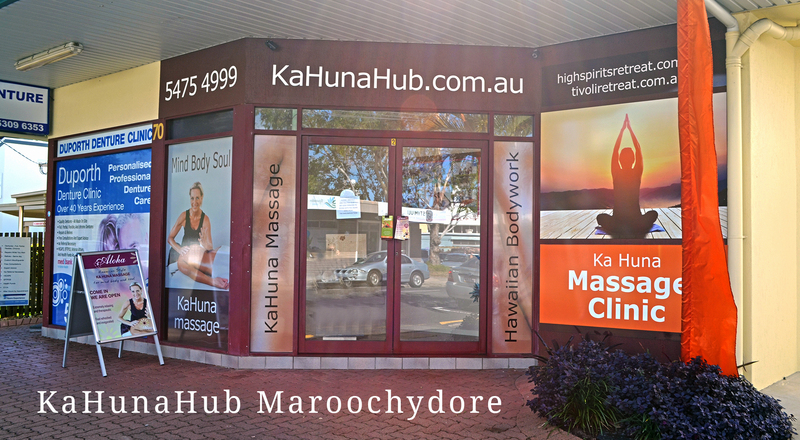 The KaHunaHub is located in beautiful Maroochydore on Queensland’s Sunshine Coast. The Hub is just a stones throw from the water and has ample parking across the road. The KaHunaHub was founded by Mette Sorensen from Mette’s Institute. 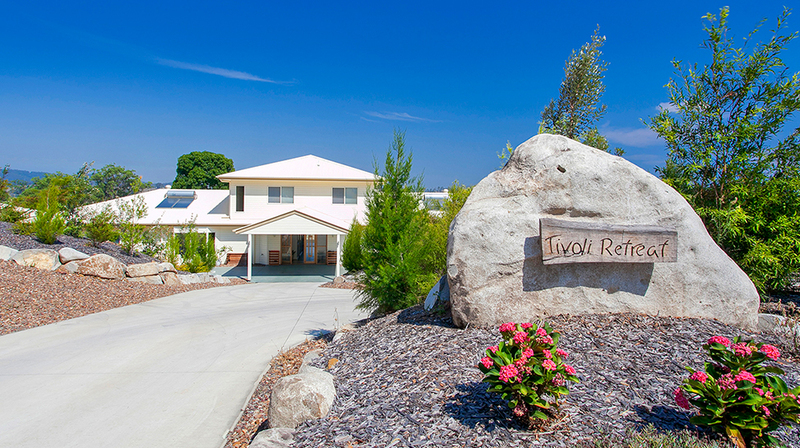 Tivoli Retreat is a modern boutique style retreat designed specifically for cleansing and relaxation. The daily routines are designed to maximise your time for rest, relaxation, inner reflection and to receive KaHuna massages. You can also book a Wellbeing Day which includes a lovely KaHuna Massage. Or you may just book a KaHuna massage followed by a snooze in our sun-room. This overview will be updated on a regular basis. Heartworks Lomi Lomi is a Hawaiian lymphatic healing massage which brings balance, restoration and heart-opening peace to the body, mind and soul. A Hawaiian Lomi Lomi Massage is given in continuous long fluid movements using the hands to free blocked energy, promoting an abundant flow of life energy and a deep sense of balance and harmony. During a Hawaiian Lomi Lomi Massage session, the practitioner is aligned with the energy of his/her heart. The hands are a conduit for this heart energy and healing. Qualified facilitators trained at Mette’s Institute offering Heartworks Lomi Lomi courses around Australia. The course is accredited by the International Institute for Complementary Therapists (IICT) and Mette’s Institute. Interested in one of the available Heartworks Lomi Lomi Courses . . .